Disclaimer: We cannot accept responsibility for the content of external web sites. The Olive Tree in Biggar -an excellent delicatessen in the High Street. 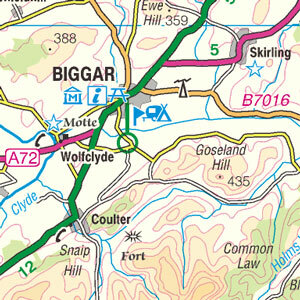 Biggar lies 2 miles west of Cormiston Farm. A market town retaining its medieval layout, along the A702, the route of a Roman road. The population is now about 3000. There are excellent pubs, several restaurants and cafes, as well as quality shops with local produce. 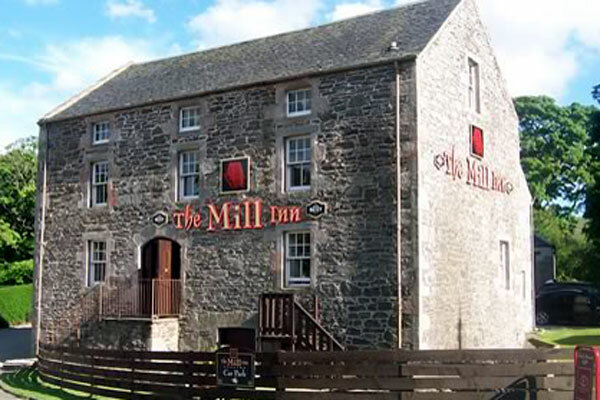 There are some very fine museums in Biggar including: The Greenhill Covenanters' Museum, the Victorian Puppet Theatre, the Gladstone Court Museum and the Gasworks Museum. The Biggar Little Festival is in October "...something for everyone, whether your passion is music, the arts, drama, comedy, literature or sport." Entertainment of all sorts for all ages. 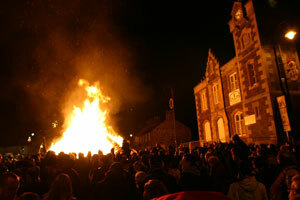 The Biggar Hogmanay Bonfire is lit by flaming torches at about 2130 on 31st December each year. It is preceded by a piped procession through the streets. 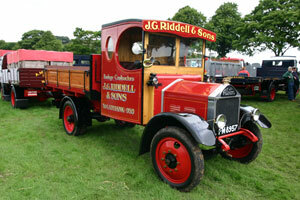 Biggar Gala Week is in June each year. It starts on Sunday 10th June 2018. The Biggar Gala procession is on 16th June 2018. There are many festivities; the crowning of the Fleming Queen, and the Biggar Rideout on Sunday 10th June 2018 among them. The Rideout assembles at 1pm at the Municipal Hall in Biggar on the first Sunday of Gala Week. It passes Cormiston Farm, before continuing its ride up Whinney Brae to Biggar Common. 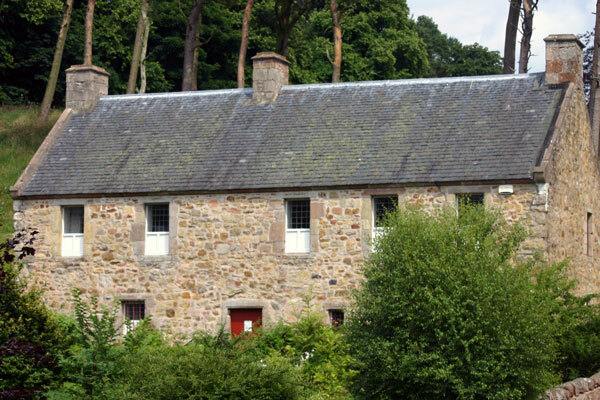 Races are held at Rowhead Farm before continuing round the boundary of Biggar, raising the flag on Bizzyberry Hill and then finishing at Cadger's Brig at 6pm. 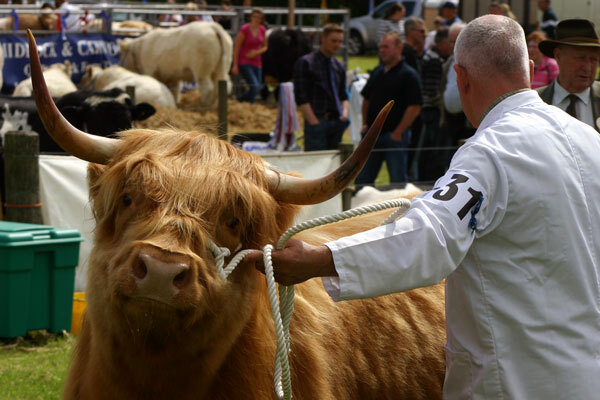 The Biggar Show organised by the Biggar Farmers' Club is on a Saturday in July on the Biggar Showfield. A great agricultural show with Scottish Dancing competitions, showjumping, stalls and a beer tent ! In August there is a well-attended vintage car rally. 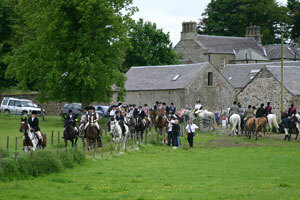 The Biggar "Riding of the Marches" at Cormiston Farm. 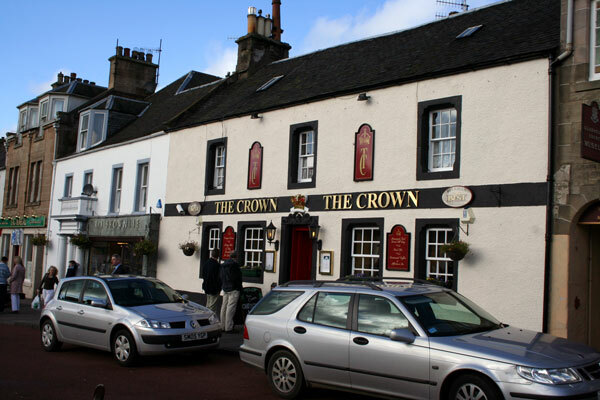 The Crown Public House on the High Street Biggar. Good Pub food and excellent beer.